I’m sure most of us have used the simple red solo cup. They are cheap, versatile and event-friendly. 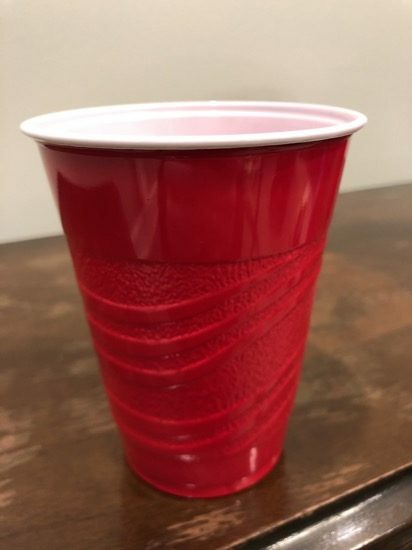 The red solo cup has been around for years and is considered a staple for any event especially church events, camps, lake fun, birthday parties, etc. Aside from its affordable price and handy round shape that makes it easy to grip on, everyone loves its easy to find bold color and durability. Buy cheap red solo cups on Amazon. We all know that red solo cups are used for drinking your favorite beverage. But, since they’re very affordable, many use them for fun red solo cup games and entertaining activities that you can enjoy during your gatherings. Today, we’re going to share 12 fun red solo cup games and ideas that will make your party unforgettable! These games are conveniently divided into a few categories based on the best group of people that would enjoy the particular game mentioned. Let’s start playing! 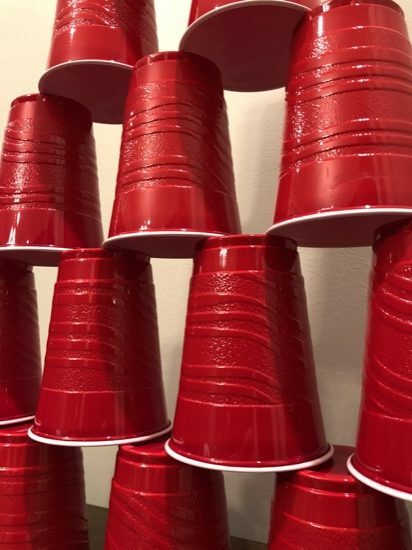 Kids will have to stack 21 red solo cups, keep it standing for 5 seconds and put it back in one stack within one minute. 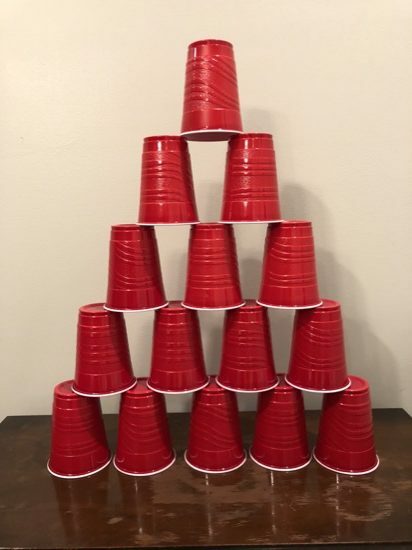 It’s a slightly challenging yet fun game for kids especially with the trouble of making the pyramid of solo cups stand sturdy for few seconds. This game can easily turn a boring day to a fun unforgettable one without exerting much effort! It is perfect for good hand/eye coordination building skills as well. Have the kids pair up and give them one red solo cup each and one ping pong ball per pair. Line them up facing their teammate. To start the game, the one who’s holding the ball will have to throw it to his/her partner and he/she should catch the ball. As the game continues, each pair will have to take one step backward to create a space between their partners. The pair who’ll fail to catch the ball will be eliminated. Last pair remaining wins the game. Find an open space to play this game. Now, gather the red solo cups and place them like bowling pins. Grab a small ball and let the kids roll the ball to knock all the cups down. Prepare a stack of 10 red solo cups, rubber band for each group, strings for each member of the group. Have at least two groups with four members each. Start by preparing a long rectangle table that will let the players stand on both sides. Set up by putting the cups in one stack and placing it on the table upside down, now tie 4 strings onto the rubber band. To play, each player will hold a string to pull the rubber band apart and shoot in onto the end of the cup. They will have to lift one cup and place it on the open space of the table. Repeat the process until they make a pyramid. This is a very challenging game and may be hard to start with, but once they got the technique in using the rubber band to grab the cup, it will be easier and definitely fun to play. First team to finish the pyramid shape wins. Prepare by stacking 12 red solo cups together and placing one blue or another colored cup on the bottom. Each player will have to hold this stack, upside down. They will have to do a race by putting the top cup to the bottom and repeating this step until the other colored cup is on the top again. The first payer to finish wins. You can add more than 12 cups to increase game length. A simple but exciting game, just like the flip the bottle game. But this time, the players will use a red solo cup. Each player must face a table and flip an upside-down cup towards the table and it must stand open side up. This game is perfect for couples and even friends in a party. Prepare by finding some headbands and taping or gluing red solo cups on it. Now each player will have their own headband with cups and a small ball on hand. The pairs will have to face each other and must throw the ball up towards the head of their partner. To make the game challenging, no overhead throws are allowed. Their hands must be within tummy area only, but the partner can move their head to follow the ball. Prepare a smooth long table or surface and gather 2 players at a time. Draw or tape a line on to the table as the finish line. Now each player must have their own straw and should stand at the other end of the table. Place the red solo cup, upside down. To play the players must blow the cups towards the finish line using the straw. You can also try snorkels instead of straws for extra fun. Gather everyone outside and create 2 to 3 groups with 4 players each. Each player must hold their own red solo cups. Now the group must assign one player who will lie down facing up while holding their cup on the tummy area. At the other end, each group must have their own pale of water. To play, the player must scoop water, place the cup over their head and walk towards their lying teammate, they will have to pour the content of their cup just by tilting their heads. The cups must stay over their head. First team to fill the cup of their lying teammate wins! Create 2 groups with 5 players each and they must have their own red solo cup. To play, each group will line up, and at the end of the area place a chair for each group, about 10ft away. Now the first player should have an egg on their cup and hold the cup using just one hand that is placed forward parallel to the ground. So their hands must be facing upward and holding the cups upside down. Then they’ll have to run or march towards the chair and go back to the next player, transfer the egg carefully to make sure that it won’t crack. The first team to properly transfer the egg all through the players without cracking it will win. Here’s a fun consequence or punishment for losing teams, they will have to choose between 5 red solo cups and should drink, eat everything in the cup. The choice is yours on what to put inside the cups. Fill it up with yummy treats or stinky sauces and even something sour. 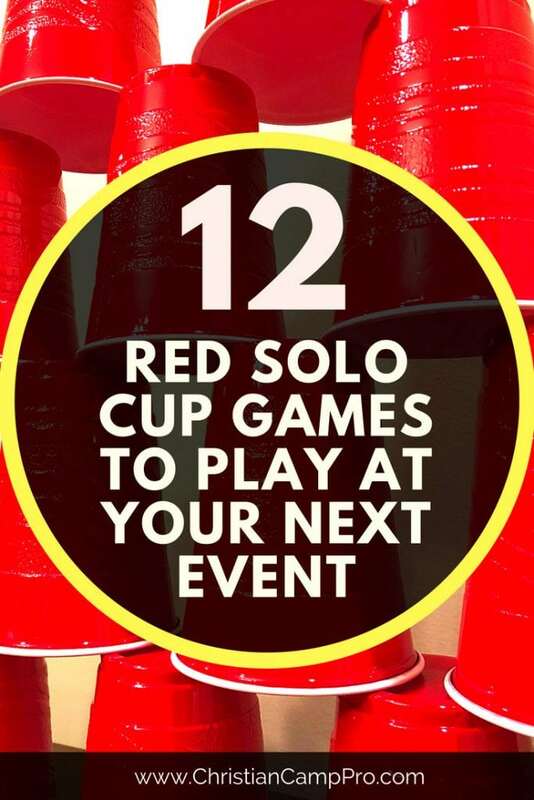 Make sure that you won’t lose any game or else you’ll be the one to take the red solo cup challenge! This one is a perfect group activity, form 2 groups with at least 10 players. Prepare colored water by mixing food color with clean water, you can use 2 different colors to represent the groups. To start, each player must have their own red solo cups and should form a line, placing their cups over their heads. Now the first player’s cup will be filled with the colored water, then they should transfer the content to the person behind them just by tilting their cups which the next player should catch by adjusting their head. The player behind them can use their hands to catch the liquid. This game is challenging but can create a really good camaraderie between players. The team who will be able to collect most colored water at the end of their line wins. The red solo cup has contributed towards making any occasion memorable not only with it being a reliable cup for all our favorite beverages but also because of the endless red solo cup games that you can play with it. One important thing to remember though is that these cups are plastic and should be disposed of properly. If you have no intention of reusing it, consider recycling it as a plant container. Buy cheap red solo cups on Amazon. The red solo cup is sold in other colors like blue and green, but the red one is the most popular one taking about 60% of its total sales. You could consider buying red and green solo cups to convert these games into fun Christmas games! These cups are reusable and dishwasher safe, so better think twice before throwing them to the bin, because you may save few bucks by keeping them! It was first introduced in the 1970s. Originally round and didn’t have any grips on it. Invented by the late, Robert Hulseman.